For us, everything revolves around the Eiffel Tower. 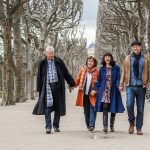 Whether you’re a young couple in love or have been married for more than thirty years, experience a photoshoot in the city of love, Paris. Welcome to our world! Once upon a time the Eiffel Tower was despised by the French, but today it’s become Paris’ landmark number one. 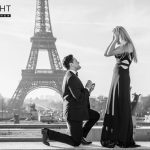 Millions of visitors are attracted to the Eiffel Tower every year, and some of them even get to experience one of our special photoshoots there. 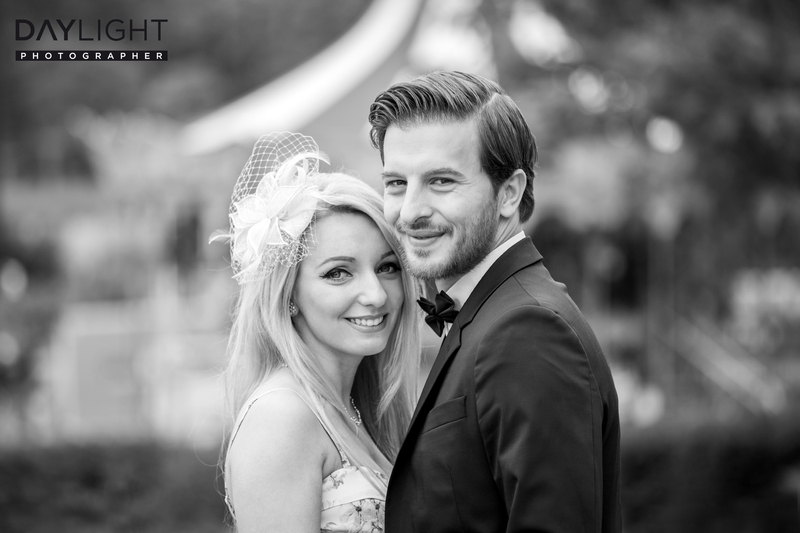 One of our photoshoots with your very own photographer at the Eiffel Tower lasts roughly one and a half hours. Our Daylightphotofraphers will make your professional photoshoot with your darling a fun, dynamic experience. Your personal photographer knows which locations around the Eiffel Tower are best suited to a photoshoot that will make you look like you belong on the pages of a magazine. The Place du Trocadéro is a historical landmark that offers one of the best views of the Eiffel Tower. It was built along with the Palais du Trocadéro for the world exhibition 1837 as a belvedere with a view of the Champ de Mars. Today, thousands of tourists a day flock to the Trocadéro to take pictures of the Eiffel Tower. This makes it hard to find an angle that is not already occupied by tourists. But our photographers know how to make it look as if you were the only one there. Right now there’s a building site at the Esplanade du Trocadéro, but there are still some locations where a photoshoot is possible, though it is necessary to get the city of Paris’ approval to have a photoshoot at the Esplanade du Trocadéro! If you know Paris, you know the light limestone that makes it the City of Lights, and if you look very closely you might even find some green spots around the city. The Jardins du Trocadéro brings a bit of the countryside to Paris. It’s refreshing to walk beneath the green canopy of trees in summer, and they’re the perfect backdrop for a couples photoshoot with the Eiffel Tower in the background. If you thought photoshoots were boring, we’re proving you wrong by taking you to the Pont d’Iéna. Right in the middle of the Pont d’Iéna, cars zipping by left and right, time stops for a moment. One driver honks, another shakes his head in disdain, others laugh. Our photographers love the banks of the Seine with its historical cobblestones. They have a very different atmosphere than the Trocadéro and the Pont d’Iéna, where we start our photoshoots in Paris. Early in the morning the banks of the Seine are quiet. The shadow of the Eiffel Tower wanders along the quay, while the waters of the Seine flows peacefully by. This is the perfect location for a marriage proposal in Paris – but that’s a story for another time. One could almost think these were pictures of an ad campaign for L’Oréal! 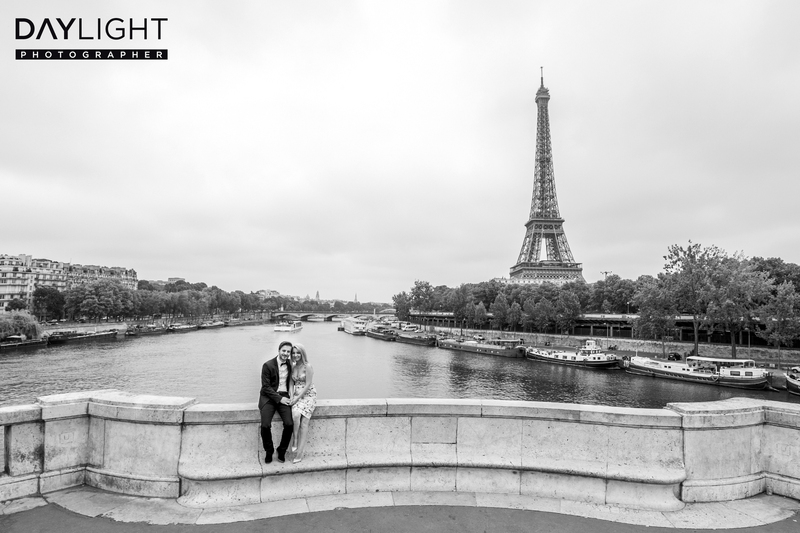 Our professional photographers deliver photoshoots of high quality that end after roughly one and a half hours on the bridge Bir-Hakeim in Paris. This steel bridge is a great location for photoshoots. There are some great angles with views of the Eiffel Tower, the Parisian Métro and Parisian architecture in general. Would you like to book a professional photoshoot with one of our photographers in Paris? You can book your couples photoshoot right here.